Take a ride on Nitto’s most extreme set of 4×4 truck tires in the Nitto Mud Grapplers. 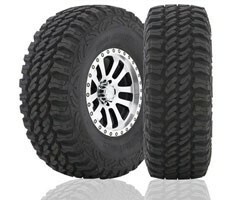 These off-road truck tires use a computer-designed tread pattern, along with massive sidewalls, resulting in maximum traction and extreme durability. 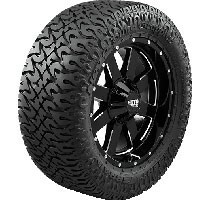 Nitto Dune Grappler 4×4 truck tires are for those who want aggressive off-road tires with a more comfortable ride on the street. Their intuitively designed tread significantly reduces street noise, while also making them effective off-road. 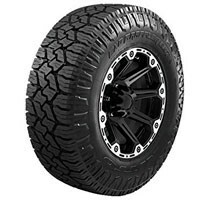 Nitto Terra Grappler All Terrain 4×4 truck tires are designed for light trucks and SUVs. 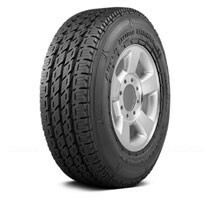 Designed with a balanced void ratio for excellent on or off-road traction, these off-road truck tires are mud and snow rated for all-season performance. 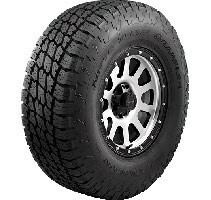 Designed to enhance traction in a multitude of conditions, while also providing a smooth, quiet performance on the street, Pro Comp Radial Mud Terrain 4×4 truck tires are the perfect combination of aggressive grip and a comfortable ride. The Nitto Exo Grappler AWT (All Weather Traction) is built to meet the all-weather demands of off-road truck enthusiasts. Whether their journey takes them through off-road trails, gravel, or farmland, the Exo Grappler AWT is built for 4-seasons of 4-wheeling. 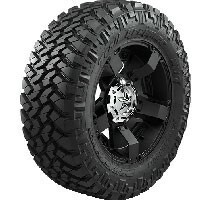 Featuring an all-new chip resistant all-weather compound, 3-ply sidewall construction, and large, thick sidewall lugs, the Exo Grappler AWT provides armor for the elements. The all-new Trail Grappler M/T blends some of the off-road performance of the Mud Grappler with the on-road comfort of the Terra Grappler to create a tire that is both aggressive and quiet. 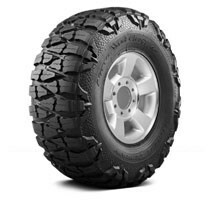 For off-road performance, the sidewall combines a 3-ply high turn-up construction with a thick rubber compound that cushions the tire and helps prevent punctures. On the tread surface, the blocks are configured to provide additional biting edges that command lateral stability and enhance forward traction. 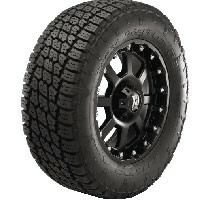 The Dura Grappler is a highway terrain tire that provides outstanding mileage, durability and traction. Revolutionary Dura-Belt three steel-belted technology reinforces and stabilizes the tread blocks to prevent heat build up. The Dura Grappler will be available in popular ‘E’ load range, heavy-duty LT sizes and with two different sidewall designs so you can customize your look. Whether you’re working on a construction site or towing your toys, the Dura Grappler was designed to meet your durability and mileage needs.